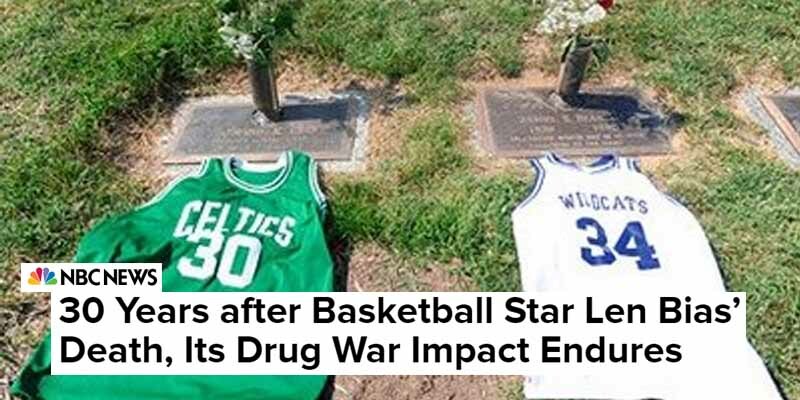 The death of Boston Celtics‘ 1986 #1 draft pick Len Bias from a cocaine overdose was possibly the biggest controversy in the history of sports in terms of impact. The team and the league lost a future superstar who could’ve become a bigger name than Micheal Jordan and took a blow to their image, but the tragedy also impacted the country as a whole. Bias’ death added a lot of fuel to Ronald Reagan’s controversial War on Drugs, giving the 40th POTUS enough support to pass the Anti-Drug Abuse Act through Congress. This legislation appropriated an additional $1.7 billion to fund the War on Drugs. More importantly, it established 29 new, mandatory minimum sentences for drug offenses. In the entire history of the country up until that point, the legal system had only seen 55 minimum sentences in total.